Conferences Series LLC invites all the participants across the globe to attend '9th World Congress on Pharmacology' during September 04-06, 2017 in Paris, France which includes prompt keynote presentations, Oral talks, Poster presentations and Exhibitions. Pharmacology 2017 focuses on the importance to understand drugs and how they can affect human physiology. It is with better understanding of Pharmacolo­gy one can know the right dosage and dosage forms of drugs. More research in pharmacology deals with identifying and responding to drug interactions and its side effects along with its mechanism of action, its therapeutic index and thereby treat ac­cordingly. More intensive study with the interaction between drug and its therapeutic effect helps to identify the properties of ideal drugs. Psychopharmacology is the learning of the effects of medication on the psyche (psychology), observing changed behaviors and how molecular events are manifest in a measurable behavioral form. Neuropharmacology is the study of the effects of medication on central and peripheral nervous system performance. Principles related to psychopharmacology. Neurogenesis and repair deal with other aspects on the indications for medications prescribed to address psychiatric and behavioral problems, that are associated with, including antipsychotic, anxiolytic and anticonvulsant medications, acquired brain injury and Neurocognitive effects associated with therapeutic drugs also include mood stabilizers and treatments prescribed for disorders of attention. The treatments may cause side effects such as induction of the metabolic syndrome, type-2 diabetes related to the medications prescribed for management of psychiatric and behavioral disorders and disturbances. Ethnopsychopharmacology also deals with the biotransformation and metabolism of medications, as well as specific differential actions: i.e., CYP450 enzymatic inhibition and induction of metabolism of psychopharmacological and herbaceutical substrates. Clinical Pharmacology has been practiced for centuries through observing the effects of herbal remedies and early drugs on humans. The pharmacologic effect that a medication has on the body is known as pharmacodynamics. Pharmacokinetic and pharmacodynamic parameters become important because of the association between host drug concentrations, microorganism eradication, and resistance. 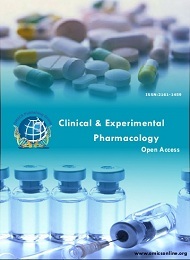 Since long scientific advances allowed scientists to come together with the study of physiological effects with biological effects Receptor theory for drug effects and its discovery with clinical pharmacology has stretched out to be a multidisciplinary field and has contributed to the findings of drug interaction, therapeutic effectiveness and safety. Drug interactions and pharmacological compatibilities include the study of pharmacokinetics that includes the absorption, distribution, metabolism, and elimination of drugs. The pharmacologic effect that a medication has on the body is known as pharmacodynamics. Pharmacokinetic and pharmacodynamic parameters become especially important because of the association between drug application, microorganism abolition, and resistance. Cardio pharmacodynamics of digitalis is most frequently used to increase the adequacy of the circulation in patients with CCF and to slow the ventricular rate in patients with atrial fibrillation or flutter NB: the main action of digitalis is its ability to increase myocardial contractility its positive isotropic action results in, a. increased cardiac output, b. decreased heart size, c. decreased venous pressure, d. decreased circulating blood volume, e. diuresis and relief of edema as digitalis frequently causes a dramatic reduction in the ventricular rate, it was originally believed this was the main effect subsequently shown to be beneficial irrespective of the HR, its predominant effects being on contractility in addition to the cardiac effects, digitalis has a direct action on, a. vascular smooth muscle b. neural tissue the later being responsible for indirect cardiac actions of the drug finally, changes to the circulation brought about by digitalis frequently result in reflex autonomic & hormonal changes which effect the CVS. Role of drugs in coronary circulation the circulatory system is busy providing oxygen and nourishment to every cell of the body, let's not forget that the heart, which works hardest of all, needs nourishment, too. Coronary circulation refers to the movement of blood through the tissues of the heart. The circulation of blood through the heart is just one part of the overall circulatory system. 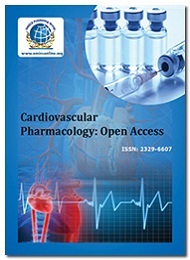 Pharmacology of vascular endothelium deals with alterations of endothelial cells and the vasculature play a central role in the pathogenesis of a broad spectrum of the most dreadful of human diseases, as endothelial cells have the key function of participating in the maintenance of patent and functional capillaries. The endothelium is directly involved in peripheral vascular disease, stroke, heart disease, diabetes, insulin resistance, chronic kidney failure, tumor growth, metastasis, venous thrombosis, and severe viral infectious diseases. Dysfunction of the vascular endothelium is thus a hallmark of human diseases. In this review the main endothelial abnormalities found in various human diseases such as cancer, diabetes mellitus, atherosclerosis, and viral infections are addressed. Ethnopharmacology is to identify the objectives of a largely virtual field whose self-identified membership represents a diverse suite of academic and applied disciplines, as well as commercial interests. Integrative Pharmacological Investigations include conglomeration of more number of pharmacological aspects and aggregated scientific research of two or more drugs. Natural products of chemistry in drug discovery play a vital role in bringing advances in traditional drug treatments. Chemistry and structural elucidation of drugs accelerate potential treatment options in the evolving developmental changes. Natural and synthetic derivatives in pharmacological studies are important aspect of advances in the development and investigation that avoid adverse drug reactions of the synthetic medicine. Mere change in the structures of the drugs can cause potential differences in efficacy and therapeutics of drug treatment. Immunopharmacology is that area of pharmacological sciences dealing with the selective variation of specific immune responses and, in particular, of immune cell subsets. The first generation of immune-modulating agents included molecules drawn from oncology. The second generation, notably cyclosporine, exploited some natural agents able to block several signal transduction pathways. To deal with the expanding field of immunopharmacology, some limitations are required. However, in recent years, the advances about how the immune system works have identified several molecular targets suitable for more selective modulation of immune function. These targets can be broadly divided into surface molecules and soluble mediators. Surface molecules play a fundamental role in antigen recognition, immune response activation, homing and effector functions. Soluble mediators are involved in lymphocyte proliferation and differentiation, inflammatory response and cell recruitment. Toxicology is the study of the undesirable effects of chemicals on living organisms. It is the study of symptoms, mechanisms, treatments and detection of poisoning, especially the poisoning of people. Principles of management of a poisoned patient and relationship between dose and its effects on the exposed organism deals with important criterion regarding the toxicity of a chemical is the dose, i.e. the amount of exposure to the substance. Hypothesis and data driven research focuses on substances that are toxic under the right conditions. The term LD50 refers to the dose of a toxic substance that kills 50 percent of test population. LD50 estimations in animals are no longer required for regulatory submissions as a part of pre-clinical development package. Toxicity associated with metabolites is the conventional relationship has been challenged in the study of endocrine disruptors. There are various specialized sub disciplines within the field of toxicology that concern diverse chemical and biological aspects of this area. Toxicology has played a significant role in verifying conclusions drawn on the basis of epidemiological findings. Liposomes and nanoparticles: Nanoscale drug delivery systems using liposomes and nanoparticles are rising technologies for the rational delivery of chemotherapeutic drugs in the treatment various ailments. Nanoparticles present possible dangers, both medically and environmentally. Ocular Pharmacology deals with the pharmacological effects of drugs that act on ophthalmic diseases. The pharmacodynamics and pharmacokinetics of ocular drugs is essentials for enhancing the therapeutic efficacy of the drug. Advanced studies in the drugs related to eye is important to for faster drug delivery and hence the drug action. It is based on principles of drug action. Biochemical pharmacology uses the methods of biochemistry, biophysics, molecular biology, structural biology, cell biology, and cell physiology to define the mechanisms of drug action and how drugs influence the organism by studies on intact animals, organs, cells, sub cellular compartments and individual protein molecules. It explores the range of biochemical targets and mechanisms. 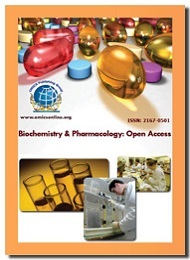 It covers research on the pharmacodynamics and pharmacokinetics of drugs and non-therapeutic xenobiotics. It also involves in elucidation of cellular and tissue functions at the biochemical and molecular levels, the modification of cellular phenotypes by genetic, transcriptional or translational or drug or compound-induced modifications. Pharmacoepidemiology is the study of the utilization and effects of drugs in large numbers of people; it provides an estimate of the probability of beneficial effects of a drug in a population and the probability of adverse effects. It can be called a bridge science spanning both clinical pharmacology and epidemiology. Pharmacoepidemiology concentrates on clinical patient outcomes from therapeutics by using methods of clinical epidemiology and applying them to understanding the determinants of beneficial and adverse drug effects, effects of genetic variation on drug effect, duration-response relationships, clinical effects of drug-drug interactions, and the effects of medication non-adherence. Pharmacovigilance is a part of Pharmacoepidemiology that involves continual monitoring, in a population, for unwanted effects and other safety concerns arising in drugs that are already on the market. Pharmacoepidemiology sometimes also involves the conduct and evaluation of programmatic efforts to improve medication use on a population basis. Development of medication is a vital concern to medicine. The metabolic stability and the reactivity of a library of candidate drug compounds have to be assessed for drug metabolism and toxicological studies. Many methods of pharmacological tests have been proposed for quantitative predictions in drug metabolism. If the chemical structure of a medicinal compound is altered to some extent, this could slightly or noticeably alter the medicinal properties of the compound based on the level of alteration as it relates to the structural composition of the substrate or receptor site on which it exerts its medicinal effect, a concept referred to as the structural activity relationship (SAR). When a useful activity has been identified, chemists will make many similar compounds called analogues, in an attempt to maximize the desired medicinal effect(s) of the compound. Pharmacology for nurses is one of the most important elements in nursing education. It is the field is science that is related to management of drugs as per the disease profile of the patient. Nursing pharmacology is dealt with vigilance over the drug action on the patients from the initial stage of drug administration and further monitoring and observing the effects. ConferenceSeries Ltd invites all the participants across the globe to attend ‘9th World Congress on Pharmacology’ during September 04-06, 2017 in Paris, France which includes prompt keynote presentations, Oral talks, Poster presentations and Exhibitions. Join your peers around the world focused on learning about Pharmacology and related advances, which is your single best opportunity to reach the largest assemblage of participants from the Pharmacology community, conduct demonstrations, distribute information, meet with current and potential professionals, make a splash with a new research works, and receive name recognition at this 3-day event. World-renowned speakers, the most recent research, advances, and the newest updates in Pharmacology are hallmarks of this conference. Pharmacology 2017 welcomes attendees, presenters, and exhibitors from all over the world to Paris, France. The event brings together truly innovative thinkers who are leading the way through current perspectives in drug research and development. We are delighted to invite you all to attend and register for the “9th World Congress on Pharmacology” (Pharmacology 2017) which is going to be held during September 04-06, 2017 at Paris, France. The organizing committee is gearing up for an exciting and informative conference program including plenary lectures, symposia, workshops on a variety of topics, poster presentations and various programs for participants from all over the world. We invite you to join us at the Pharmacology 2017, where you will be sure to have a meaningful experience with scholars from around the world. All members of the Pharmacology 2017 organizing committee look forward to meeting you in Paris, France. Students, Scientists, Researchers, and Faculty of Pharmaceutical Universities, Medical Colleges, Researchers from Pharmaceutical Companies, Pharmacy Associations and Societies, Business Entrepreneurs, Training Institutes, Software developing companies, Manufacturing Medical Devices Companies, CRO and Data Management Companies. The graph represents the percentage of CROs. A significant portion of R&D budgets are spent on outsourcing services (domestic and/or international) offered by the CRO industry, approximately $15 billion in 2007.This figure is expected to grow at 15% over the next seven years and should increase further with the broadening of the spectrum of services outsourced to cover the entire value chain. As outsourced services in developing countries such as China and India move up the value chain to cover phase 1/2 trials, the total contracts value may increase to $30 billion by 2015. Paris, the cosmopolitan capital of France, is one of the largest groups in Europe and the city is a symbol of French culture, with 2.2 million people living in the dense, central city and almost 12 million people living in the whole metropolitan area. Located in the north of France on the river Seine, Paris has the well-deserved status of being the most beautiful and romantic of all cities. It has an annual 30 million foreign visitors, and so is one of the most visited cities in the world. Paris needs no introduction. It’s synonymous with food, culture, fashion, and architecture, rarely unsatisfactory to those who visit. Despite being the dream destination for millions of people each year, the French capital still has plenty hidden secrets to offer beyond the Eiffel Tower and its world-class museums. For centuries, Paris has attracted artists from around the world, who arrive in the city to educate themselves and to seek inspiration from its vast pool of artistic resources and galleries. As a result, Paris has acquired a reputation as the "City of Art". Paris is the home of imperative museums and cultural institutions and to truly understand Paris you have to immerse yourself in the city’s artistic culture. Beyond the Louvre and the Musée d’Orsay, you can get your culture fix at the modernized Picasso Museum and the new Foundation Louis Vuitton, not to mention dozens of small museums and galleries. Paris has more than 421 municipal parks and gardens. The city is also a major rail, highway, and air-transport center, served by the two international airports Paris-Charles de Gaulle and Paris-Orly. Paris has many nicknames, but its most famous is “La Ville-Lumière” (“The City of Light”), a name it owes first to its fame as a centre of education and ideas during the Age of Enlightenment, and later to its early adoption of street lighting.